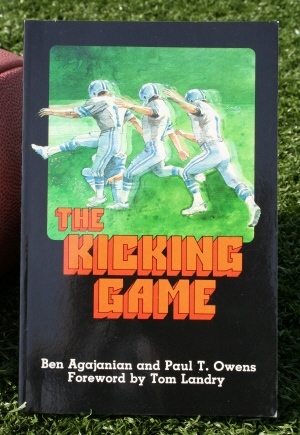 Ben Agajanian’s book, The Kicking Game, has proven a tremendous coaching tool for the training and development of kickers. In it, Ben covers every segment of kicking including exercises for strength and flexibility. You’ll find it an excellent companion to The Ben Agajanian Kicking Game tape.